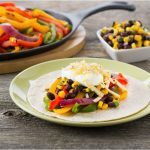 Get your grilling on with this elegant, fresh and simple recipe. Everyone knows that fish goes well with citrus, and this strawberry relish has plenty of herbed flavour and crunch from smoked almonds to bring this lean protein to a new level. 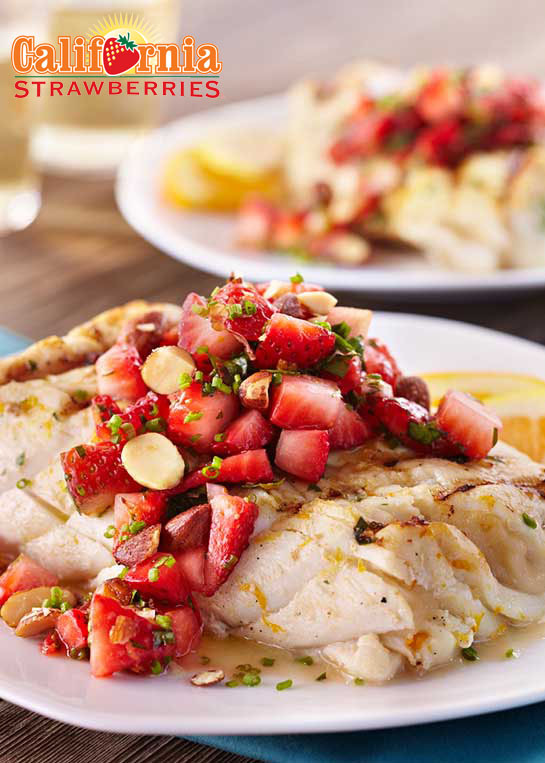 Try this citrus halibut with strawberry relish for a weekend meal for just yourself, your significant other, or even as an impressive entree for a dinner party. Combine olive oil, parsley, chives, lemon juice, lemon zest, orange zest and salt and pepper. Place fish in a glass pan and pour marinade over the top. Cover and place in refrigerator for an hour. In a bowl combine strawberries, shallot, almonds, olive oil, parsley, chives, lemon juice, lemon zest and salt and pepper. Set aside. Preheat grill or oven to 350ºF (180ºC). Spray or rub the grill with non-stick spray and grill the halibut until cooked, approximately 7 to 10 minutes. Or place in an oven safe pan and cook in a 350ºF (180ºC) oven for about 10 minutes or until fish flakes easily. Plate cooked fish and then add a generous, spoonful of Strawberry Relish on top of each fillet. Garnish with lemon slices and parsley. As an alternative, halibut can be substituted with swordfish, mahi mahi, sea bass, cod, scallops or snapper. 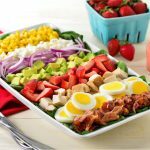 This recipe was created by chef, cookbook author and restaurant owner Brian Malarkey, kindly provided by our featured member, California Strawberries.